I know what you are thinking. Why would a woman get so excited about outdoor power equipment that she would actually start her own blog on the subject? For me, there’s something about starting an outdoor project and seeing it through to the end. Part of it is the instant gratification of these amazing tools, but the work also brings me closer to my dad. I always helped my father outside when I was little. My sister and I weren’t allowed to play on the front lawn. It was his Emerald City and he was the Great and Powerful Oz. He would show me the proper way to mow the lawn, rake the leaves, and keep his yard in pristine condition. He was a wonderful teacher. Being his “baby girl” never stopped him from giving me rugged advice for the real world. I often wonder if he knew the impact his teachings would have on me. My dad’s memory is a constant when I’m working outside. I love working in my yard. I’m a child on Christmas morning savoring my new toys. As you have no doubt figured out from my blog title I am a fan of STIHL equipment. I’ve been using STIHL products for years. My favorite is their versatile BR-600 backpack leaf blower. Blowing leaves in the fall is my favorite part of the season, but I use it for much more. I dry my car after it’s been washed. I clear my driveway after a light snowfall. I spot aerate my lawn by lifting the dead grass to allow new grass to grow. Right now I’m in the market for a hedge trimmer. Before making a purchase I do my homework. That means research online and checking with friends and experts. That way I have great confidence when I enter a store to buy outdoor equipment because I know what I want. I have included some of my tips below. Many shops still market primarily to the stereotypical male, but times have changed and manufacturers and dealers are learning from women like me. If you’re afraid that you’ll enter a store and not be treated seriously, then you owe it to yourself to visit an independent servicing dealer. These professionals, whether a STIHL certified retailer or any other reputable shop owner, want your business and are ready to guide and teach you.. They are ready to establish a relationship with you based on trust and service and in a few visits, you’ll be making sound decisions on your own on what equipment is right for you. Times have changed. Homeowners of all shapes and sizes are tackling projects that only contractors would have touched just a few years ago. Imagine June Cleaver working outside in the yard, revving a chain saw and cutting down a tree. I can picture her husband Ward picking his head up from the morning newspaper wondering what the noise was all about. Now that would have made a great episode. Trim those clichés from your mind! Visit a STIHL retailer, hold your head high, and be confident. That’s what my father taught me. 1. Do your homework. I admit I have a problem. I go overboard with research before I buy. I just can’t help it. Sometimes my heart says, “Buy it,” but my brain pulls in the reins. Start by going online and looking at comparable pieces of equipment. 2. Match ‘em up. Compare three to five similar products, make a chart, and jot down some of the features you’re looking for. Don’t make this a painstaking process. Make it fun. If this isn’t your idea of pure enjoyment, I advise (with an internal eye roll) that you may want to stop reading any further. 3. Everybody has one. I’m talking about opinions. During your research go to some popular review sites like Epinions, Consumer Research, & howstuffworks. These sites give dependable reviews on the products you’re researching. 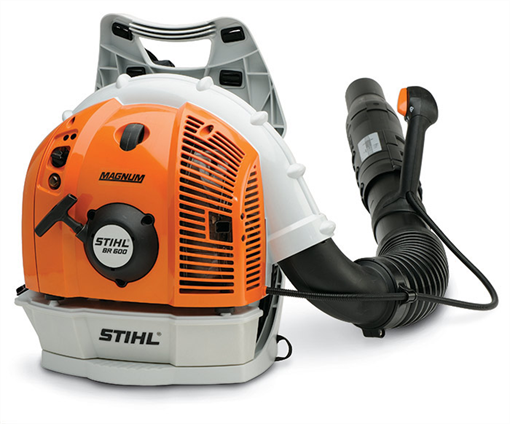 Also, the STIHL website is a great resource for product and dealer information that can help you with your purchase This will help dwindle down your choices. 4. Get “buy” with a little help from your friends. Seek advice from your friends, neighbors, and family on good reliable equipment. They won’t steer you wrong. 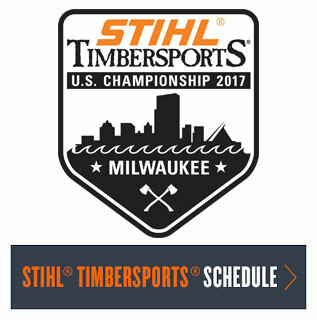 Check out the STIHL USA Facebook page, there’s a great community there where you can get advice from people you don’t know. 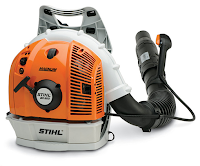 If you want to see videos of STIHL products in action, visit the STIHL USA YouTube page. 5. Shop talk. You’re ready to visit your local dealership. You may need to visit more than one depending on the brands you're reviewing. Ask questions. The pros are knowledgeable and will guide you through your decision process. They are there to help. In fact the pros want you to ask questions. Just because you might not be a typical customer doesn’t mean you’re not worthy of their time and expertise. 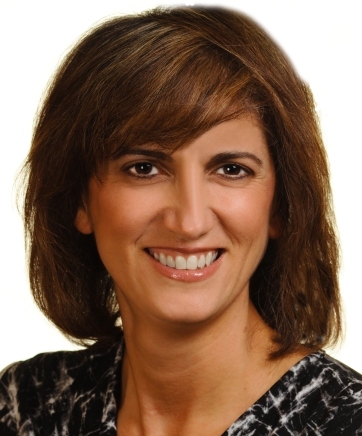 Ann Marie Gagliardi is Maid Of Stihl. She writes about landscaping and shares advice on equipment in her blog MaidofStihl.com.